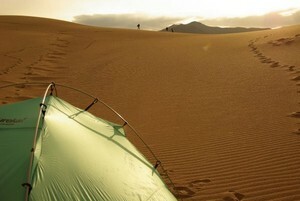 Follow our car camping list to ensure you don't forget any of your car camping equipment. 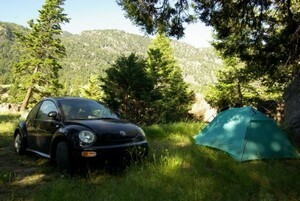 Do you make a car camping checklist? You should! Making sure you have the right car camping equipment is incredibly important. You don't want to overburden yourself by packing up everything under the sun, but you definitely don't want to forget the bare essentials. Probably the best thing to do before you set out for the open road is to create a car camping checklist. Plus, not only won't you stress about things you might have forgotten--you won't forget anything! The editors at Camping Tent Reviews always refer to a car camping checklist to make certain they've packed all their camping tent equipment. If you are new to the car camping experience and you don't know what you should pack, there are all kinds of resources on the web to help you out. Below is a simple checklist that a few of us at Camping Tent Reviews have put together to help you get started. Obviously, everyone has different needs when it comes to camping, and not all car camping lists are going to be suitable for everyone who reads them. That's why you should see the following car camping checklist as a blueprint for your own foundation. It's more of a suggestion really. If you see some things you don't need, take them off. If you think of anything else that's been left off, throw it in. If you've never used a car camping list before, follow it to a T and you won't forget any car camping equipment. The point of all this is for you to have the most fun you possibly can in nature. The amount of car camping equipment you do or do not have with you is entirely up to you. Before we get started, we need to make sure you have a base tent for car camping. This family camping tent is one of the best base tents for car camping trips. 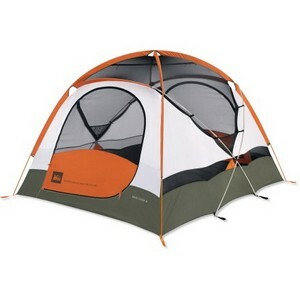 The REI Base Camp 6 Tent is a structure that will comfortably sleep 6 people. And since car camping trips are generally less populated than that, you will be sleeping in the lap of luxury with all the room you'll have. This is by far one of the best family tents overall, let alone for just car camping. Size when furled: 9.5"? x 16.5"? The REI Base Camp 6 Tent does have one drawback: its price. But if you can afford the $399 price tag, then you are in for a real treat. This base tent for car camping will keep working for you for the rest of your life--if you treat it well. It's truly one of the best pieces of car camping equipment you'll find. This is a basic list for you new car campers out there. These are some of the absolute essentials you will need on your trip--such as a base tent for car camping--along with a few extras thrown in just in case. And there you are. Pretty basic, right? Well, as mentioned previously, there's all kinds of room to add extra car camping equipment to your list. For instance, you shouldn't forget your hygiene and personal care items, clothes, and cool-weather apparel (like hats, gloves, and scarves). But those are common-sense items.